According to a research report published by Canadean, total consumption of non-alcoholic beverages in Africa in 2013 was 51,559 million liters (13,473 million gallons). Applying a multiplier to that consumption volume; average price of $1.06 per liter (combination of on and off trade sales values), the value of the non-alcoholic beverage industry in Africa was estimated at $54.6 billion USD. By comparison, the total non-alcoholic industry amounted to $835 billion USD globally in 2013 per Euromonitor International report. David Tabares, Account Director at Canadean, explained that the $54.6 billion USD figure for Africa, albeit conservative, was based on data obtained from regulated retail and point of purchase as well as specifically from Nigeria, South Africa and ‘Other Africa’ (Tabares noted that the data did not include all African countries as there was no robust way of collecting data given that parts of retail in some of the African countries are still informal). Africa has a population of approximately 1.2 billion people and a rapidly expanding middle class (somewhere between 128 million by 2020 according to McKinsey and 350 million or 34% of the population in 2010 according to the African Development Bank); indications which point to a rise of a new class of African consumers with disposable income to spend on discretionary products and services. Therefore, given the undersized $54.6 billion USD valuation of the African non-alcoholic beverage market, the potential size of this industry is tremendously huge; enter the new kids on the block, new beverage companies owned by ‘young African industrialists’ as coined by South African entrepreneur and radio DJ, Sbusiso Leope, who is popularly known as DJ Sbu. According to South African recording artist and entrepreneur, DJ Sbu, MoFaya energy drink has been 3-years in the making. Launched late 2014, the new energy drink, lauded as the first and only 100% Black-owned beverage brand in South Africa, was founded by a cohort of eight South Africans with a cumulative 97 years of work experience. 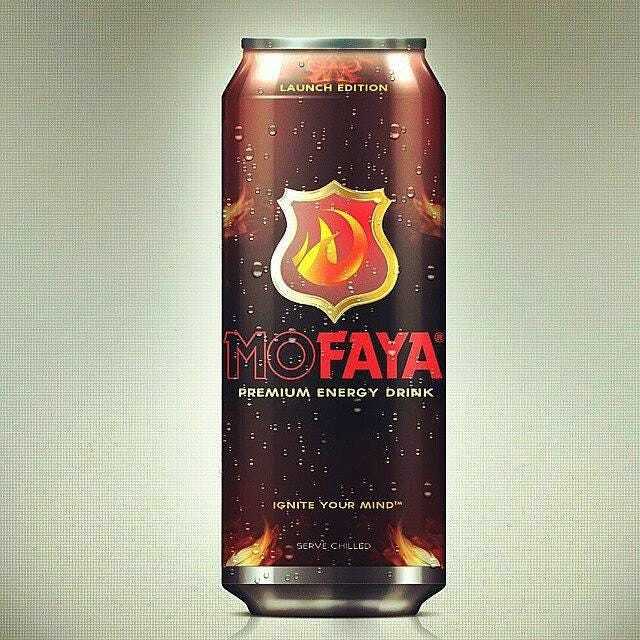 “I actually discovered in my graduate studies that consumers in South Africa were moving from soft drinks, particularly carbonated to energy drinks,” said DJ Sbu, explaining in part why he and founding partner, Siphiwe Likhuleni Shongwe, launched their brand of energy drink, MoFaya. Not surprising, according to a white paper published by South African based research company, BMi, the energy drinks market, an ever expanding and ever growing industry, proved continued popularity with double digit growth in 2013 (local brands include ‘Score’ from Chill Beverages and ‘Energade’ energy drink from Tiger Brands). “We developed the formula for our energy drink. Manufacturing and production of MoFaya is done locally in South Africa; Inhle Beverages makes the syrup/energy drink and packaging is done at Nampak Bevcan,” said Likhuleni Shongwe who brings tremendous experience to Mofaya from previous ownership of energy drink, Edge. In the meantime MoFaya has sold over 37,000 cases to date throughout South Africa with initial support for the brand from retail outlets primarily in urban areas. DJ Sbu disclosed that they had closed distributions deals for Mozambique, Bulawayo in Zimbabwe and are currently in negotiations for distribution in Ethiopia, the Democratic Republic of Congo (DRC), Lesotho, Namibia and Swaziland.“In the 21st century, Africans have been given an opportunity to demonstrate that we can create, innovate and build a business from ground-up and make it great. That is our goal with MoFaya beverage line,” said Likhuleni Shongwe. Brothers Seyi and Seun Abolaji were born and raised in New Bussa, Niger State, in Nigeria. At the age of 8 years, they emigrated to the United States where the brothers grew up and subsequently went to university. The second oldest of four children, Seyi who is the company CEO, graduated from Stanford University, California with a B.A in History, while Seun who is the company Brand Director, graduated from Emory University, Georgia with a B.A in Psychology and a minor in pre-med (Seun went on to earn his doctorate of Pharmacy at the University of Colorado Health Sciences in Colorado). Seyi moved back to Nigeria in 2008 and started a business selling smoothies and other freshly squeezed juices from a rented stall on the campus of Covenant University in Otta in Ogun State. However demand for his lemonade brand rapidly grew because according to Seyi, “customers loved the freshly made lemonade I was producing,”; quickly realizing this, Seyi turned his focus on just lemonade production. The big ‘Aha’ moment came in 2011 when Seun pointed out to Seyi that he should “bottle the lemonade instead of just selling it in cups.” Wilson’s Lemonade was born. The Abolaji brothers spent 2 to 3 days developing the formula for their brand of lemonade; they currently offer lemonade and pink lemonade (infused with hibiscus tea) as part of the Wilson’s Lemonade beverage line. All the products for their beverage line including lemons and other ingredients, bottles, packaging are sourced in Nigeria. Production and packaging of the beverage line is done in-house; the Abolaji brother own and operate their factory located in Otta, Ogun State and employ roughly 23 people. “We are lean operation because in this initial phase of the business, we have to keep a close eye on our cost structure as we look to scale in the future,” said Seun. 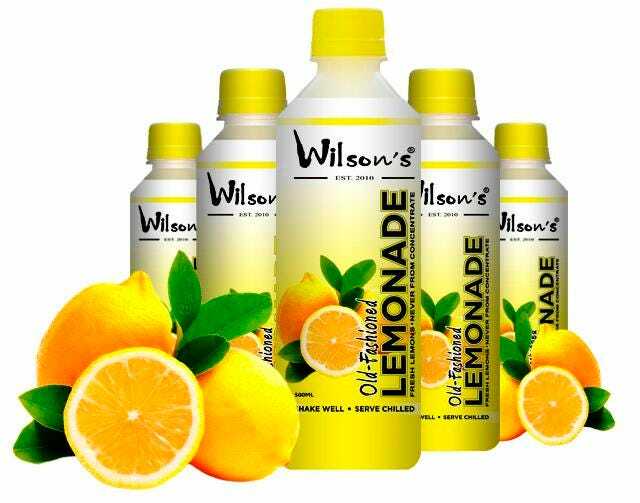 Currently in distribution in Nigeria including retailers Shoprite, Goodies and online at Konga.com, the long term goal for the Abolaji brothers is to distribute Wilson’s ‘never from concentrate, all natural’ Lemonade across the continent. According to Seun, sales revenues for the Wilson’s Lemonade beverage line have been growing however the duo have faced challenges with distribution in Nigeria; logistics are an uphill battle for the fledgling brand. “We are looking to expand distribution beyond Lagos to major retailers in major cities throughout Nigeria like Abuja, Warri, Enugu, Ilorin, Kano however current delivery options are pricey at current volumes, not reliable and/or poor order to poor delivery turnaround time,” said Seun. Debuting on the 2015 FORBES list of Billionaires, Tanzania’s wealthiest man, Mohammed Dewji sits at the helm of industrial behemoth, MeTL Group which owns and operates A-One Products and Bottlers Ltd makers of the premium “MO” beverage line. I spoke exclusively last year to the entrepreneur and member of Parliament in the government of Tanzania about his bold USD $48 million-backed venture; a line of carbonated soft drinks in a variety of different flavors including the star of the beverage line, Mo Cola that would go head-to-head with Coke. The hefty financial infusion resulted in state-of-the-art manufacturing facilities with three world-class beverage production lines as well as increased beverage production capacity to 36 million crates per annum. 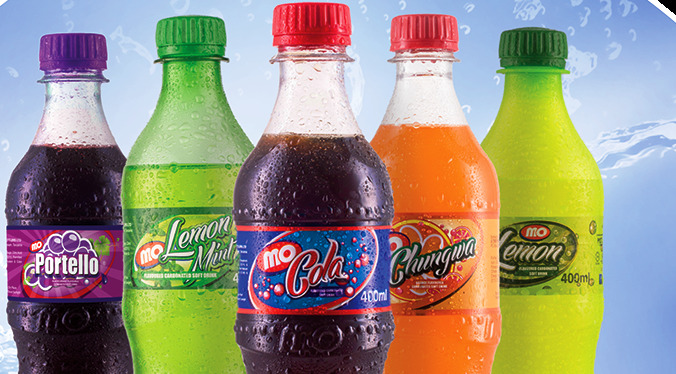 Dewji explained that the launch of the new beverage line, which include carbonated and non-carbonated soft drinks in over twenty varieties under the umbrella “MO” brand including popular brands Mo Cola, Mo Orange, Mo Embe (Mango), Mo Bomba (energy drink), Mo Lemon, Mo Lemon-mint, Mo Malt and natural cereal-based energy drink, Mo Sheeba Shake.